Coron is an island off the northern tip of Palawan. Access to Coron was limited to small boats until 2 years ago when the small airport in Busuanga was opened for commercial planes. Busuanga is a 35-minute ride from Coron and its small airport was built in the 1970s for military use only. 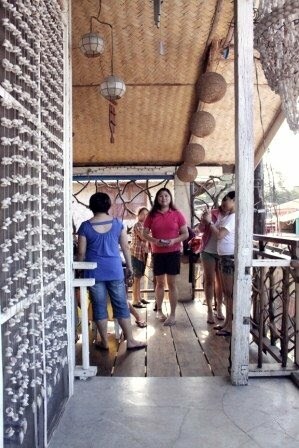 We made a reservation to Majika Island. I have no real idea what to expect as my company and I were driven to Balay Majika in Coron town proper to await for our boat ride to the island. I was surprised by the small roads and old homes. It was like being transported back in time. The town's electricity runs on generator. Fresh water is scarce and definitely not wasted in such trivial things as watering plants. Vegetables sold in the market come from Manila and therefore quite "dear". We were not in Balay Majika more than 10 minutes when our designated guide, Vangie, came and fetched us. We need to go to the pier for the boat ride to Majika island. The ride was less than 5 minutes. We got off the van, took our tons of luggage and proceeded to walk to the pier. Our guide said the ride would be about 45 minutes long as we cannot take the shortcut in the mangrove as it was low tide. 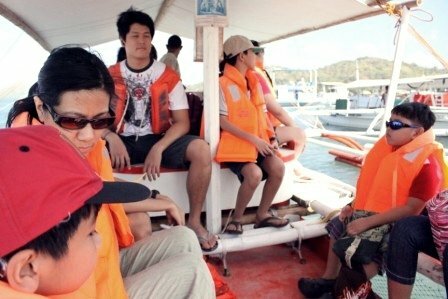 We were told to wear life vests as the water in Coron Bay, is deep... really deep. I was relieved to see the is;and. I am not even sure what the island's name is. I just call it Majika because our package says "Majika Island Adventure". No running fresh water. Electricity provided by a generator from 4:00 p.m. to 7:00 a.m. I was beginning to have misgivings compounded especially when I saw that the "beachfront" has mangroves. 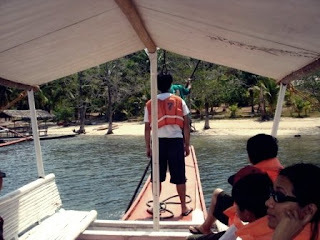 Palawan is a very beautiful island, clean and peaceful. I've been there last year but in Estrella, Narra. @ josie: one never cease to be amazed at the beauty of the philippines. 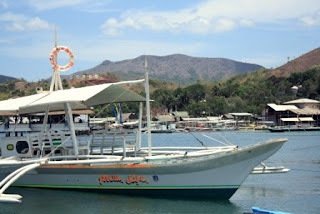 @papa sez: if you are into snorkeling and scuba diving, coron is a great place to be. The Plane has landed... with a thud!